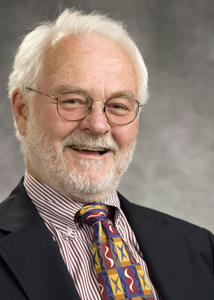 Professor Malcolm Feeley, Professor in law in the University of California, Berkeley has been awarded one of two Fulbright Flinders University Distinguished Chairs in American Political Science. Malcolm will come to Australia for five months to undertake research into privatisation in the criminal justice system in Australia as part of a comparative study he is undertaking of the subject in the US, England and Australia. “I am engaged in a policy history of the role of entrepreneurs in developing the modern criminal justice system in the United States, England, and Australia,” Malcolm said. Malcolm has a BA in Political Science and English from Austin College Texas; an MA in Political Science and Sociology of Law from the University of Minnesota; and a PhD in Political Science, University of Minnesota. He has an eminent teaching career and has published widely. He has received many awards including being appointed as a Russell Sage Foundation Fellow; and the Silver Gavel Award, American Bar Association. He has had a term as President American Law and Society Association. He has also been awarded numerous fellowships and grants. 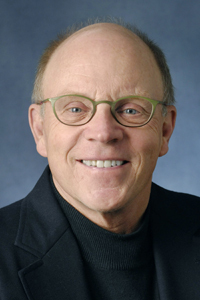 Professor Burdett Loomis, Professor with the Department of Political Science at the University of Kansas, has been awarded one of two Fulbright Flinders University Distinguished Chairs in American Political Science. Burdett will come to Flinders University in Adelaide for five months to work on a project researching lobbying and its impact in Australia, which will provide a basis for comparative work. “My research project for the Fulbright Chair tenure will first seek to understand the overall scope and nature of the Australian lobbying industry; this will include how the national government and the individual states/territories seek to regulate lobbying. The second, related research strand will address how lobbying affects agendas and policy outcomes,” Burdett said. Burdett has an MA and a PhD from the University of Wisconsin-Madison. He has been a Hall Center for the Humanities Fellow; a Fulbright Senior Specialist; and has won a Kemper Foundation Teaching Award and been an American Political Science Association Congressional Fellow. He has held many high-level administrative roles including being Director of Administrative Communication, Office of Kansas Governor Kathleen Sebelius; and he has also taught politics and published extensively, with more than 30 books in various editions. He is a founding co-editor of the new journal, Interest Groups & Advocacy. His interests include research on legislatures and interest group, and he teaches a cours on politics and literature. In addition, Burdett has lectured widely for the U.S. State Deparment in Asia and South America, most recently in Indonesia in 2012. 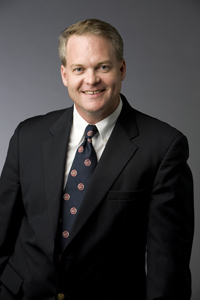 Professor Christopher Barrett, from the Charles H. Dyson School of Applied Economics and Management at Cornell University, has won a 2012 Fulbright Senior Scholarship. Through his Fulbright, Christopher will spend six months at Monash University in Melbourne undertaking research into the effects of global food markets on poverty and food insecurity in the world. “My research explores why such unnecessary injustice continues to disfigure a rich, technologically advanced world, and what individuals and institutions can do to reduce avoidable human suffering,” Chris said. Chris’ research program aims to establish how poor households’ dependence on food markets is evolving. His research will include looking at the effects of new contract farming arrangements or humanitarian agency supply chains, and how changing food prices and food price risk and international market integration are co-evolving in their impacts on poor households. He will also examine what policies or financial instruments might be appropriate to help cushion any adverse effects of observed changes. “Through the research program this Fulbright Scholarship will launch, I hope to shed light on poor households’ complex relations with global food markets so as to improve and inform ongoing policy debates in this arena,” Chris said. This project will build on existing work he has already undertaken, and will establish research collaborations in Australia that he hopes will continue well beyond his Fulbright Scholarship. Chris has an A.B., History, Princeton University; an M.Sc., Development Economics, University of Oxford, on a previous Fulbright Scholarship; and a dual PhD in Agricultural Economics and Economics with certificate in African Studies, University of Wisconsin-Madison. He is also the Director of the Stimulating Agricultural and Rural Transformation (StART) Initiative , Cornell International Institute for Food, Agriculture and Development. He has also published extensively. His research interests include poverty, food insecurity, economic policy and the structural transformation of low-income societies, issues of individual and market behavior under risk and uncertainty, and the interrelationship between poverty, food security and environmental stress in developing areas. Dr Richard Collins, a Senior Research Fellow with UNSW Water Research Centre is the winner of the 2012 Fulbright Scholarship in Nuclear Science and Technology sponsored by the Australian Nuclear Science and Technology Organisation (ANSTO). Through his Fulbright Richard will spend six months at the Pacific Northwest National Laboratory developing his skills in computational modelling to improve the efficiency of acid leaching processes used in the extraction of uranium. His project aims to address a lack of knowledge into key processes in the interplay between iron and uranium in the extraction of the material. “Australia’s uranium reserves are the world’s largest with the 2008-2009 exports of uranium exceeding $1 billion,” Richard said. Richard said that the extraction of uranium through these leaching techniques dominates activities at Australia’s Beverley, Honeymoon and 4-mile mines and are the focus for the future mining of a further 7 mine sites across Australia. Based on studies at Energy Resources Australia Ltd., a one per cent increase in uranium extraction at its proposed heap leaching facility at Ranger is equivalent to around $10-12 million net profit volume. “Any modest improvement in the efficacy of these acid leaching processes derived from the outputs of this research project is of potential importance to the National Research Priority Goal of transforming existing industries. Richard has a BSc in geology and a PhD in environmental science from the University of Adelaide. Richard is currently an Australian Research Council Future Fellow. The aim of Future Fellowships is to attract and retain the best and brightest mid-career researchers in Australia. He also worked at the French Atomic Energy Agency for a number of years after completing his PhD and was the inaugural UNSW-ANSTO Research Fellow, a joint position with the School of Civil and Environmental Engineering, the University of New South Wales, Sydney, Australia and the Institute for Environmental Research, Australian Nuclear Science and Technology Organisation (ANSTO, Menai, Australia. In his spare time he likes to plan road trips, garden and attend to his young family. Professor Michael Douglas, Director of the Tropical Rivers and Coastal Knowledge Research Hub at Charles Darwin, is one of two winners of the Fulbright Northern Territory Scholarship, sponsored by the NT Government, Charles Darwin University and Blackboard (Australia). Through this Fulbright project, Michael will collaborate with world-leading researchers at the University of Maryland and Oregon State University to establish a shared understanding of integrated catchment management between Australia and U.S. and develop a new research framework for river and coastal management in northern Australia. Following his return, Michael will spend the next three years applying this framework to help solve critical threats to Australia’s tropical rivers and coasts. “There are many threats to the Northern Australian river systems—weeds and introduced animals, such as cane toads, wild pigs, cattle and water buffalo continue to spread and degrade the natural systems. More intensive cattle grazing places greater pressure on waterholes and inappropriate fire regimes threaten the fragile riparian forests that stabilise the river banks. Mining has already had serious negative impacts in a few river systems but vast areas of the region are under active exploration and plans are well advanced for major gas processing plants on the Kimberley coast and in the estuaries of Darwin harbour,” Michael said. Michael said that the best available scientific research is necessary to inform future development decisions for the area. To this end he has spent the last 5 years leading a highly successful multidisciplinary research program called TRaCK (the Tropical Rivers and Coastal Knowledge) Research hub which was designed to meet this challenge. TRaCK brings together 80 researchers with local communities, governments and industries. In the U.S. Michael will work with two groups of researchers in the USA at University of Maryland and Oregon State University who have skills not available in Australia to extend this work. Michael has a BSc in biological sciences and a PhD in environmental sciences from Monash University. He has won awards and prizes including the Charles Darwin University Vice-Chancellor’s Award for Team Research and a Biosecure Australia Award for environmental research. . He also has extensive teaching experience and was part of a team which won a National Carrick Award for Australian University Teaching. In his spare time he is involved in activities that raise the profile of catchment management in community. 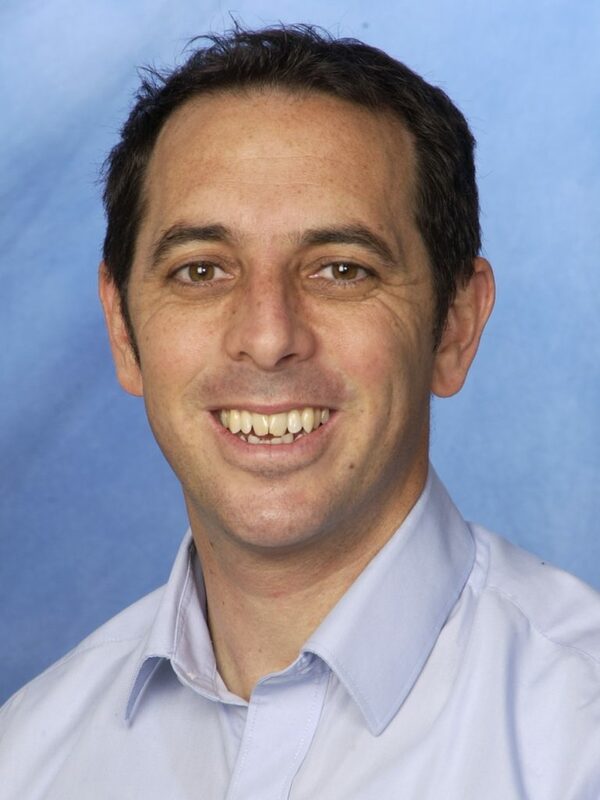 Professor Alex Loukas, Professor with the Queensland Tropical Health Alliance, at James Cook University will spend three months at the University of California-Irvine through a Fulbright Senior Scholarship. The scholarship will give Alex the opportunity to work in the U.S. with Dr Phil Felgner at U.C. Irvine, with whom he has recently established a research collaboration into antigens that potentially could be used for development of a hookworm vaccine. “Helminths (worms) infect 2 billion people in developing countries. Despite the enormous morbidity and mortality that these parasites impose, there are currently no vaccines for any human helminth infection,” Alex said. By marrying Professor Felgner’s expertise in cutting edge biotechnological applications with Alex’s extensive helminth vaccinology and immuno-epidemiologcial expertise this project promises to advance the discovery of human hookworm vaccines and establish a very productive US-Australia partnership in infectious diseases research. 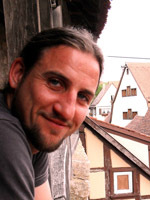 Both Professors Loukas and Felgner are funded by the Bill and Melinda Gates Foundation and other funding bodies for their vaccine development research, so the Fulbright Scholarship to Prof Loukas is bolstering the collaboration between two very productive research groups and accelerating the global fight against neglected tropical diseases. Alex has a BSc and a PhD in medical sciences from the University of Queensland. His major achievements include winning the Bancroft-Mackerras medal and Ralph Doherty prize for research leadership; attracting USD$1.6 million in annual research funds to his laboratory; developing vaccines for hookworm and schistosomiasis that are in clinical trials; and being author of more than 180 papers, including senior author papers in Nature Med and Nature Rev Micro. In his spare time he enjoys outdoor activities and spending time with his family. Professor Charles Meneveau, a professor in mechanical engineering at Johns Hopkins University, has won a Fulbright Senior Scholarship to spend six months at the University of Melbourne. Professor Meneveau is an internationally recognised expert on a field of engineering researching turbulence, and he will use his Fulbright to explore a new dimension of this field. “Turbulent fluid motions affect many important processes, such as power production in wind farms, pollen dispersal, and drag on airplanes,” Charles said. Charles’ past research has focused on models inspired by the random nature of turbulence. Australia’s Melbourne group is at the international forefront studying turbulence’s coherent nature. His time with the Melbourne group will give him the opportunity to develop and test new hybrid turbulence models, combining both random and coherent elements. “The new models will enable more trustworthy computer predictions of turbulent flows in (e.g.) wind farms, pollen dispersion, etc.,” Charles said. Charles has a B.S. in Mechanical Engineering: Universidad Técnica Federico Santa María, Valparaíso (Chile), a Master of Science from Yale University, a Master of Philosophy from Yale University and a Ph.D. in Mechanical Engineering: Yale University. 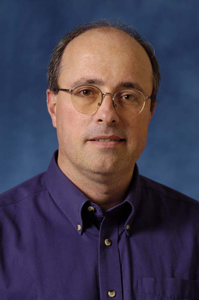 He has been the recipient of the Julian D. Cole Award from the AIAA, the Stanley Corrsin Award from the American Physical Society (APS), is a Fellow of APS, the American Academy of Mechanics and the American Society of Mechanical Engineers, and was elected foreign corresponding member of the Chilean Academy of Sciences in 2005. He is the Deputy Editor of the Journal of Fluid Mechanics and the Editor-in-Chief of the Journal of Turbulence. In his spare time he enjoys music, film and travel. 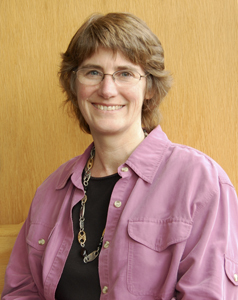 Professor and Associate Dean of the Engineering Department at the University of Washington – Seattle, Mari Ostendorf, has won a Fulbright Senior Scholarship to spend eight months at Macquarie University working on language processing for electronic applications. “Since automatic speech recognition (ASR) technology has improved substantially over the past decade, it is now possible to use ASR to transcribe and more easily access these ‘spoken documents,’” Mari said. Researchers still lack a good model of variation in prosodic features, where variation is due to both phonetic and phonological contexts as well as speaker, register and affect or emotion differences. Mari’s research will build on an existing collaboration between herself and her host, Professor Mark Johnson. The project will address two technical challenges in integrating prosody and parsing: linking the continuously varying prosodic cues with symbolic syntactic cues via posteriors of symbolic prosodic events, and developing adaptive models that account for prosody/syntax variation as a function of register and fluency of speech. Mari has a BS, MS and PhD in Electrical Engineering from Stanford University. She has won various awards and prizes including an IEEE Hewlett-Packard/Harriett B. Rigas Award, being an Elected Fellow of IEEE and the International Speech Communication Association and a University of Washington (UW) College of Engineering Faculty Research Innovator Award. She is currently serving as the IEEE Signal Processing Society Vice President of Publications. Her research interests include dynamic statistical models of speech and language, computational models of prosody at the interface of speech and language, and social aspects of language. Dr Christopher Roberts, composer and researcher in traditional music, has won a Fulbright Senior Scholarship to work with the South Australian Museum on a project to feature a unique musical tradition from Papua New Guinea (PNG). Through his Fulbright, Christopher will integrate two hundred songs he documented from the Wopkaimin people into an exhibit and ongoing research project in conjunction with an international group of scholars based at the South Australian Museum who are compiling a complete anthropological portrait of the region. This will involve cross-disciplinary collaboration with anthropologists for the transfer of audio recordings, related visual media, notation, analysis, and translations of each song to be cross-referenced with corresponding field data. Working with the Curator of Foreign Ethnography at the South Australian Museum, Christopher will then co-author a paper on the topic of Star Mountains motifs in which they will combine their documentation of the relationship between visual motifs in Star Mountains carvings and the way musical motifs are composed. Christopher has a Bachelor’s of Music from Immaculate Heart College, Los Angeles; two MMs and a double DMA from The Juilliard School. This is his second Fulbright; in 1987, he received a Fulbright-Hays grant to travel to Taiwan to study the classical qin. 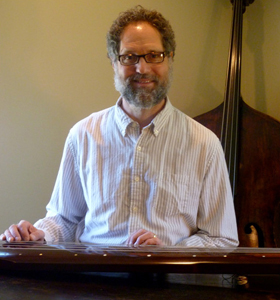 He has won many awards and prizes including a Continental Harmony Commission through the American Composer’s Forum, a Pacific Cultural Foundation Grant, and a Roger Tory Peterson Institute Research Grant. His interests include Chinese classical music and jazz bass, both of which will be featured in his lectures at the Elder Conservatorium of the University of Adelaide. Professor Martin Thoms, the Head of the Geography Department at the University of New England, has won a Fulbright Senior Scholarship to go to the U.S. Geological Survey Organisation in La Crosse and the Large River Lab based at Winona State University for five months. Through his scholarship Martin extend an existing collaboration to examine the resilience of river ecosystems in relation to climate change. Martin’s project will build on his already extensive work into floodplain river ecosystems. He will identify opportunities to: 1) use nuclear technologies to solve important environmental issues; 2) prevent rivers moving towards negative change; 3) promote rivers towards positive change; and, 4) maintain rivers in a desirable state. “Strategic adaptive management improves the resilience capacity of rivers and their ability to recover from the impacts of disturbances, like climate change. However information on how close rivers are to tipping points and the factors that push them towards tipping points is important in determining their resilience,” Martin said. His project will address significant knowledge gaps in relation to changing trophic structure of floodplain-rivers by reconstructing past and present food webs in aquatic ecosystems of lowland rivers of the Murray Basin and Upper Mississippi River. Martin has a BSc and an MSc in geomorphology from the University of Canterbury in New Zealand and a PhD in Environmental Sciences from the University of Technology, Loughborough, U.K. His achievements include being appointed as independent scientific auditor to Murray Darling Basin Authority; a UN International Scientific Team member for river studies in the Kingdom of Lesotho; President (elect) of the International Society for River Sciences; several International Association for Hydrological Sciences research prizes; and, the Binghamton International Geomorphology Prize for innovation in geomorphology. His interests include mountain biking, aboriginal art and his two energetic retrievers. “Hendra and Nipah viruses continue to spill over from wild animals, causing disease and death in humans and animals,” Tompkins said. Tompkins said that his time spent at AAHL will establish a collaboration that will work beyond the project to find new ways of combating these infectious diseases. Tompkins has a BS (Microbiology), from the University of Illinois, and a PhD (Immunology), from Emory University. 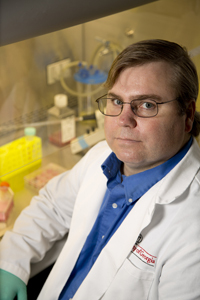 He has won various awards and prizes including a Gramm Travel Fellowship from the Robert H. Lurie Comprehensive Cancer Center of Northwestern University, Chicago; an ORISE Fellowship, Oak Ridge Institute for Science and Education, ORAU; and a National Institutes of Health Fellows Award for Research Excellence (FARE). His main research interests include understanding the immune response to respiratory virus infection and developing novel vaccines and treatments for use against emerging and re-emerging infectious diseases. Projects include novel detection methods for infection, identification of biomarkers for disease, RNA-mediated regulation of disease, and development of human therapeutic antibodies, among others. Outside of the lab, Tompkins enjoys many outdoor activities with his family, including gardening, cooking, fishing, and golf. He is also a new fan of the AFL. 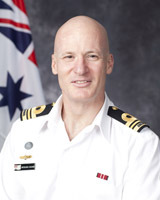 Dr Richard Adams, a Lieutenant Commander within the Royal Australian Navy Directorate of Leadership and Ethics, has won a Fulbright Professional Scholarship to go to Yale University for four months. Through his Fulbright, Richard will examine expectations in military doctrine that soldiers subjugate their will to command. His research will illuminate the obligation of soldiers to act with moral purpose and autonomy as a force for good in the world, rather than as brute instruments of state power. The research aims to establish the basis upon which military doctrine may take a more morally sophisticated form. “Fighting under duress, people are denied opportunity to fight voluntarily. They become utensils of the state and ‘their battles are no longer theirs,’” Richard said. “Acknowledging the place of conscience and free will, my research will articulate a new doctrinal argument,” Richard said. The research will be supported by the Global Justice program, led by Professor Thomas Pogge at Yale University. It has great resonance with the espoused aim of this program to explore morality in foreign policy and transnational institutional arrangements. Richard has a BEd (Hons 1), Master of Industrial Relations and PhD from the University of Western Australia. He has won awards and prizes including the Bertha Houghton Prize for Best Fourth Year Student in the B. Ed programme at UWA; the Cecil Andrews Prize for Best Honours Graduate, UWA; an Admiral’s Commendation for Professional Excellence and Dux of the Junior Officers’ Management and Strategic Studies Course. He has submitted a thesis in fulfilment of a Master of Arts in classics, ancient philosophy and military ethics at the University of New South Wales. 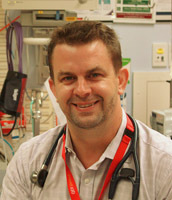 Dr Anthony Bell, Director of Emergency Medicine at Queen Elizabeth II Jubilee Hospital, is the 2012 winner of the Fulbright Professional Business/Industry (Coral Sea) Scholarship. This Fulbright scholarship was established by former U.S. Ambassador Mel Sembler and U.S. companies to recognise the 50th anniversary of the Battle of the Coral Sea and address business and industry issues common to Australia and the U.S. Through his Fulbright, Anthony plans to undertake an Executive Education programme at Harvard University that would underpin his research into Emergency Department management policy. “Emergency Departments (EDs) in Australia and the US share many common challenges. The modern emergency care system is a relatively new innovation in both countries and only properly governed as a recognised specialty in Australia since 1983 with the formation of the Australasian College for Emergency Medicine (ACEM).,” Anthony said. After he returns from the U.S., Anthony will carry out research and development of a framework for Australian EDs. The Fulbright sponsored component will focus on linking available funding to clinical workforce, in the context of National Health Reform. The primary outcome is to create an evidence based ED workforce decision support tool as a key component of the performance management framework for EDs. The secondary project aim is to allow planning and funding of future ED workforce occurs in a co-ordinated and transparent manner that provides equitable access to emergency health care for the right patients in the right place at the right time. Anthony has MBBS from University of Western Australia, and an MBA from Queensland University of Technology. He is also the Clinical Chair of Queensland State-wide ED Network, a Clinical Senator and he has won awards and prizes including the QUT MBA Director’s Award for academic excellence and two Queensland Emergency Medicine Research Fund grants. His interests include travel and spending time with his family. Mr Andrew Blyth, Principal, hartley blyth & associates is the winner of the 2012 Fulbright Professional Scholarship in Australia-U.S. Alliance Studies sponsored by the Department of Foreign Affairs and Trade. Through his Fulbright Andrew will spend four months at the University of Texas-Austin researching market and policy incentives that will actively drive private sector investment in sustainable energy development and reducing energy poverty levels. “The issue of third world poverty is a challenge for nation-states as it bears upon national security and contributes significantly to the rise of conflict and instability. Climate change, fragile states and the impacts of natural disasters pose additional threats to any potential progress in alleviating this problem,” Andrew said. Andrew said that addressing this inequity requires international recognition that the projected rise in people enduring energy poverty is intolerable and that a new financial, institutional, and technological framework is required. Andrew aims to produce a research paper that will promote discussion and add to the current global energy policy debate, particularly in Australia and the United States. “For a project like this to be successful it requires collaboration with, and advice from, private and public sector organisations such as the World Bank, IMF, Asian Development Bank, universities, multilateral aid agencies, policy think-tanks, utility companies and financial institutions, US Department of Energy and the United Nations (UN-Energy). Being based in the United States will provide ease of access to key organisations and people,” Andrew said. Andrew has a BA in political science and an MA (International Relations) from Deakin University. His achievements include being appointed as Chief of Staff to a federal Cabinet Minister and as Chief Executive of a national energy association. He is currently undertaking a second Masters degree with a focus on business, finance and leadership. He is also a director of AFL Canberra. 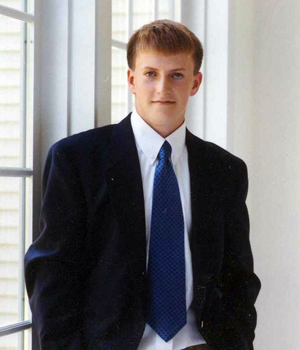 Andrew was awarded a political exchange for the US Presidential Election in 2000. Dr Caroline Smith is a Director with Skills Australia, which is an independent statutory body providing advice to the Minister for Tertiary Education, Skills, Science and Research. 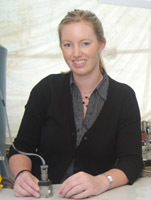 Caroline is the 2012 winner of the Fulbright Professional Scholar in Vocational Education and Training (VET), sponsored by the Department of Industry, Innovation, Science, Research and Tertiary Education (DIISRTE). Through her Fulbright, Caroline will go to Rutgers University, New Jersey for four months to examine the role of Regional Partnerships for Vocational Education and Training and Workforce Development. “Improving educational and skills outcomes is a policy priority for many governments around the world. However there is increasing recognition that skills development on its own is insufficient to maximise the benefits of this investment” Caroline said. Caroline says that to address this policy challenge, in Australia, there is increasing attention on workforce development, and planning for workforce development. Workforce development comprises the acquisition of skills, and how they are used in the workplace as well as efforts to boost participation. “There is an important strand of work that takes a cluster based approach to improving workforce development, involving government and private sector employers and others such as education providers and not for profit organisations. Over the last decade or so this has been an area of cross-pollination of ideas between the United States and Australia,” Caroline said. Caroline’s project will enable sharing good practice in workforce development, including the role of the VET sector and will also investigate approaches to collecting regional data for workforce development planning. Caroline has a PhD in employment relations from University of Strathclyde, Glasgow, a Graduate Certificate from the Department of Industrial Relations and BComm (Hons 1) in industrial relations and human resource management from the University of Western Sydney. Caroline’s achievements include the Overseas Student Award, UK (1999-2003) and the John Anderson Scholarship at Strathclyde University, a number of academic publications and representative roles in international agencies: the Organisation for Economic Co-operation and Development, the International Labour Organisation and the European Commission. Her interests include film, music and travelling. Dr Sue Baker, a research fellow at the University of Tasmania, has won a Fulbright Postdoctoral Scholarship to spend three and a half months working with the University of Washington and the Washington State Department of Natural Resources. Through her Fulbright, Sue will evaluate the benefits of retention forestry practices for biodiversity conservation. The practice of leaving unlogged patches within coupes (retention forestry) is increasingly used globally to balance environmental, social and economic values. Although new in Australia, these practices were developed twenty years ago in western USA. Sue’s project will critically assess the role of retained patches in facilitating re-establishment of mature-forest biodiversity in logged areas. “The retention forestry approach was developed in Western North America based on insights into species recovery following the massive volcanic eruption of Mt St Helens in 1980. Contrary to traditional theory emphasising immigration of organisms from outside of the affected landscape, diverse refuges within the blast area allowed some organisms to survive volcanic impacts,” Sue said. By applying the same methodology for sampling beetles and plants in USA as in Australia, Susan will extend investigation of biodiversity effects through a much longer time series than possible for local studies. The project will increase ecological-sustainability of forest harvesting practices. Sue has a BSc (Hons 1) and a PhD from the University of Tasmania. She also has a Bachelor of Forest Science, University of Melbourne and Spanish Certificate Level III, from TAFE Tasmania. She has won awards including Australian Research Council Postdoctoral Fellowship Industry and a Gottstein Trust Fellowship at the World Forest Institute, Portland, Oregon. In her spare time she enjoys hiking, diving and learning about the natural history and culture of places she visits. 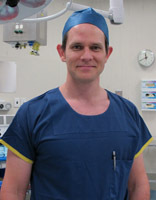 Dr Michael Findlay, a Plastic and Reconstructive Surgeon with the Department of Surgical Oncology at the Peter MacCallum Cancer Centre and researcher at The O’Brien Institute, St Vincent’s Hospital Melbourne is the 2012 winner of the Fulbright Victoria Scholarship, supported by the Victorian Government and Victorian universities. Through his Fulbright, he will spend a year at Stanford University to further his work in using stem cells to grow tissues for breast reconstructions. “Breast cancer is the most common cancer in women. Following cancer surgery, breast reconstruction with the patient’s own tissue is ideal but increases morbidity and donor tissue is not always available,” Michael said. Michael’s project will use emerging technologies available at Stanford University to examine, for the first time, gene expression profiles of individual stem cells for tissue engineered breast reconstruction, providing the foundation for on-going human trials. Michael has a BSc in Molecular Biology and Biochemistry and Bachelors of Medicine and Surgery from the University of Queensland and completed a PhD in Tissue Engineering from the University of Melbourne during his Advanced Training in Plastic, Reconstructive and Hand Surgery. He has won many awards and prizes including the Surgical Research Society of Australasia Young Investigator Award, 2002, two Stryker-Leibinger Plastic Surgery Research Prizes for Australasia, the Victorian Plastics Trainee Presentation Prize for three years as well as NHMRC and Royal Australasian College of Surgeons Surgeon Scientist Scholarships. He has published widely. In his spare time he enjoys spending time with his young family in addition to Crossfit, training for Olympic distance triathlons and playing the piano . 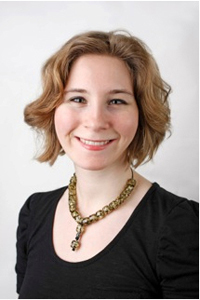 Dr Stephanie Reuter Lange is a postdoctoral researcher in medical sciences at the University of South Australia. She is one of two winners of the 2012 Fulbright South Australia Scholarship, sponsored by the South Australian Government and the universities in South Australia. Through her Fulbright, she will spend four months at the State University of New York, University at Buffalo undertaking workshops and research in computational modelling (pharmacometrics). “Pharmacometrics offers the ability to use mathematical and statistical models to fully exploit data generated during the drug development program and from clinical practice in order to streamline, facilitate and optimise the development and use of pharmaceutical products,” Stephanie said. Stephanie will focus on improving the treatment of malaria and carnitine deficiency. In relation to malaria, the project will determine the factors that contribute to the action of antimalarial medications from which more effective strategies for the treatment of malaria can be established, ultimately resulting in improved clinical outcomes, particularly in vulnerable patient groups. Carnitine is a naturally occurring substance that the body needs for healthy functioning of fat metabolism. Patients with kidney disease who are on dialysis often lack this essential compound. The project will combine Stephanie’s knowledge in the field of carnitine deficiency with expertise in disease progression modelling from researchers at the University at Buffalo in order to better understand the medical use of carnitine. These findings may then be extrapolated to provide information on the development and treatment of other forms of carnitine deficiency as well as the use of naturally occurring compounds in medicine. Stephanie has a BSc from The University of Adelaide and a PhD in medical sciences from the University of South Australia. Stephanie is an executive committee member of the Australasian Pharmaceutical Science Association and a scientific reviewer for Bellberry Human Research Ethics Committee. She has twice received the APSA Annual Conference Award and has published widely. In her spare time she enjoys travel, golf and photography. Dr Mark McHenry, researching climate change mitigation technologies at Murdoch University, is the winner of the 2012 Fulbright WA Scholarship. The W.A. scholarship is supported through a fund established by donations from the W.A. government, W.A. based universities, companies, foundations and individuals. Through his Fulbright Mark will carry out a project on waste energy, carbon, and water systems for inland industrial process mitigation with Sandia National Laboratories in Albuquerque, New Mexico, for six months. “My project seeks to critically review and model new waste energy, carbon and water intensive technologies that can be retrofitted to inland industrial facilities,” Mark said. The project scope is narrowed to three new technologies that have a high potential to co-produce agricultural/aquacultural production inputs for inland regions: microalgal biofuels, thermal desalination, and solution mining. This work quantifies physical ‘energy and material flow’ data for ‘retrofitting’ new technologies for reduced net emissions, fresh water consumption, and energy waste from inland industrial processes, including electricity generators. Mark has a BSc and PhD in physics from Murdoch University. He has won various awards and prizes including a Postdoctoral Endeavour Award Fellowship from the Department of Education, Employment and Workplace Relations, and a Science and Innovation Award for Young People in Agriculture, Fisheries and Forestry in 2007. He is also a founding member of the Rural Research and Development Council, and has published extensively. He is involved with various non-governmental organisations, and undertakes specialist research regarding renewable energy, carbon sequestration, and rural activities, technologies, and policies. Dr Peter Nugus, a Research Fellow with the Australian Institute of Health Innovation at UNSW has won a Fulbright Postdoctoral Scholarship to spend several months at the University of California-Los Angeles and the University of California-San Francisco. Through his Fulbright, Peter will research the integration of hospital and community care of older people. Peter’s cross-disciplinary, qualitative research project will evaluate an internationally unique policy experiment by the State of California to enhance the coordination, or “integration”, of health care for older persons (aged 65 and above). This project will produce internationally transferable criteria to determine whether and how policy reforms designed to enhance the coordination of health care do and do not work in practice. “This in-depth observational project aims to produce new, international professional development criteria and policy guidelines for best practice in integrated care,” Peter said. Peter said that the project will give empirical substance to the debate over the shape of future reforms and how learning from the US can be translated to the Australian context. Peter has a BA(Honours) in Political Science and Philosophy, and an MA(Honours) in Sociology (from the University of New England), a Graduate Diploma and Masters of Adult Education (from the University of Technology Sydney), and a PhD in Medical Sociology (from the Faculty of Medicine at the University of New South Wales). Peter has received awards and prizes including the prestigious “Jean Martin Award” from Australian Sociological Association, and the UNSW Dean of Medicine’s “Rising Star” Award. He has also published extensively and been awarded competitive grants to further his research. He continues his musical interests, including organising musical performances in retirement villages and a remand centre. He also raises money and runs in charity events. Ms. Hannah Barrett, a recent graduate in psychology from University of Massachusetts, Amherst, has won a Fulbright Postgraduate Scholarship to spend a year at the Australian National University in Canberra. Through her Fulbright, Hannah will undertake psychology research to assess how to overcome the stigmatizing effects of hearing loss. “Hearing loss is often stigmatized, and this in turn affects the self-esteem and well-being of the hard-of-hearing,” Hannah said. “It is more important than ever to analyze—and try to relieve—the social, psychological and health effects of hearing loss. It is important as well to increase the level of understanding between the hard-of-hearing and the larger population,” Hannah said. Hannah says that her life’s goal is to understand how people negotiate deafness and situations in which they experience stigma and social and psychological isolation. As a person who has been deaf since birth, she knows firsthand what such experiences are like. Hannah plans to work with two researchers at The Australian National University on a controlled study investigating the use of social support for reducing the incidence and effects of stigma and social isolation. 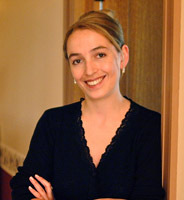 “Our hope is that members of the intervention group develop more accepting attitudes towards their hearing difficulties; adopt, with family and friends, more inclusive perceptions of social identity; share coping and resilience building ideas; and participate in group-wide and even community-wide efforts to put lasting social supports in place,” Hannah said. She was drawn to Australia, where researchers first developed cochlear implant technology and continue to conduct much of the best psychological research on hearing loss. While acquiring a BA in psychology, Hannah was Historian for the UMass Psi Chi Chapter and worked in a variety of psychology labs. She won an Honors Research Assistant Award, among other awards. She also reviewed arts and entertainments events for her university newspaper and volunteered as a teacher’s assistant in an advanced comedy course. Mr Richard Blackwell, an artist based in Canberra has won a Fulbright Postgraduate Scholarship to go to the School of the Art Institute of Chicago for two years to undertake a Masters in Fine Art. Richard’s specialty is in the area of innovative use of printmedia. He makes intricate and beautiful objects out of printed materials that reflect a landscape or architecture. “A strong theme of my recent work is to challenge the concept of visual perception in the digital age,” Richard said. 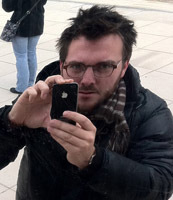 “On my Fulbright, I will take a multidisciplinary, experimental approach to the production of work, using cutting edge materials, manufacturing techniques and applied finishes in a way which simultaneously reflects identifiable, historical techniques used by artists for centuries, and the tangible surfaces and materials of contemporary architecture, consumer technology, interior and urban spaces,” Richard said. Richard said that he chose the Printmedia Workshop at the School of the Art Institute of Chicago as it has a foremost reputation in print making design but also because of the sculpture, design, fashion, fibres, media and architecture departments surrounding it. The program allows me to branch out and act as an interface for different approaches. Richard has a BA (visual) with 1st class Honours and University Medal (score of 95), Printmedia and Drawing from the Australian National University School of Art, Canberra, ACT. He has won three ANU Emerging Artists Support Scheme Exhibition Awards; the 2008 Peter and Lena Karmel Anniversary Prize for Academic Achievement in Visual Arts and the 2008 ACT Certificate of Excellence in the Visual/performing Arts 2004. In addition to his studies he maintains a prolific studio based practice and a full schedule of exhibitions, artistic residencies and other projects. He has a growing presence in the Australian art scene and is held in both public and private collections around the country and internationally. Richard is also involved in education at the school from the Australian National University School of Art – where he also works as a sessional academic, lecturing and co-ordinating courses at the school. 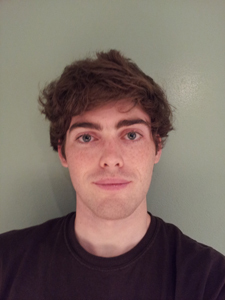 Mr Emmet Cleary, a recent graduate in Chemical Engineering at the California Institute of Technology, has won a Fulbright Scholarship to come to the University of Adelaide for eleven months. Through his Fulbright Emmet will examine a cleaner way to generate energy and will apply it to solid fuels. “Scientists have made tremendous strides in energy research, finding new and more efficient ways of harvesting energy to meet the increasing demand. Combustion processes are currently used to meet most of our energy needs, and apply broadly to many demand sectors: transportation, industry, commercial and residential buildings, and electricity generation. Although combustion technology is so widely used, it is far from perfect; there is still much room for improvement,” Emmet said. Emmet’s research will focus on a technique that burns fuels with lower emissions of pollutants, known as moderate or intense low-oxygen dilution (MILD) combustion. His proposed project will study the MILD combustion regime of pulverized coal, an industrially important solid fuel, at the Centre for Energy Technology (CET) at the University of Adelaide. According to Emmet, while previous studies with this technique have focused on natural gas and liquefied petroleum gas, it is of crucial importance to expand these studies to include solid fuels. In addition to his BS, Emmet has won a number of undergraduate fellowships. He has represented the U.S. in Irish Dancing, and is also an accomplished pianist. Ms Laura Crommelin, a PhD candidate in the Faculty of Built Environment at UNSW, is this year’s winner of the Fulbright NSW Scholarship, which is sponsored by the NSW Government and NSW universities. Through her Fulbright Scholarship Laura will research the relationship between image, identity and urban change in Detroit, Michigan at the University of Michigan. Through this work she will examine how a city’s image and identity are linked to its physical, economic and social form; why our perceptions of cities change; and whether different regeneration practices can help to shift such perceptions. Her research will focus on these issues in ‘post-industrial’ cities, where practices like urban branding and grassroots urbanism are becoming increasingly popular. Detroit is a case study for Laura’s Ph.D., along with Newcastle, Australia, as both cities are looking to reshape their image following industrial decline. “While Newcastle’s economic challenges have not been as severe as Detroit’s, both cities have had to grapple with the shifting relationship between their economy, their identity and their image. Newcastle has experienced significant economic restructuring since the BHP steelworks closed, and recently launched a branding campaign in the hopes of promoting a new image for the city. Lessons from the U.S. about innovative and effective ways to reshape urban image and identity are therefore highly pertinent to Newcastle,” Laura said. “My comparative research considers the role and effectiveness of place marketing and branding in this recovery process, addressing current debates around whether top-down regeneration practices like urban branding can truly help to reshape image and identity; whether urban branding is incompatible with local, grassroots responses to decline; and how different urban populations are involved in the creation of a more image-conscious ‘branded’ post-industrial city,” Laura said. 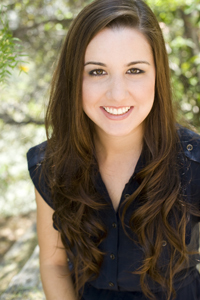 Laura has a M. Litt, US Studies Centre, University of Sydney and a BA/LLB (Hons), University of Melbourne. She has won awards and prizes including the Sir George Turner Exhibition for Constitutional and Administrative Law, at the University of Melbourne Law School, 2002; and a Universitas 21 Language Exchange Scholarship for study at McGill University, Montreal. In her spare time she enjoys netball, travel, long distance running, attending the theatre. 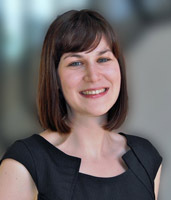 Dr Kathryn Field, a medical oncologist with the Royal Melbourne Hospital and a clinical research fellow at the Ludwig Institute Cancer Research in Melbourne is the 2012 winner of the Fulbright Postgraduate Alumni (WG Walker) Scholarship, which is funded through donations by Fulbright Alumni and awarded to the highest ranked Postgraduate Scholar. Through her Fulbright, Kathryn will go to the U.S. for a year to enrol in a Masters of Science in Clinical Research or Masters of Public Health focusing on biostatistics, clinical epidemiology, health services research, research design and data analysis. “These are the exact skills in which I need gain in order to further my expertise in this field. By studying in the U.S. I will be trained by world-renowned professionals in these areas and will obtain a global view of the issues facing clinical researchers around the world,” Kathryn said. These skills will also significantly benefit the researchers, clinicians and cancer patients that Kathryn works with in Australia. “Rigorous training in epidemiology and biostatistics will give me the tools to better formulate and apply research questions and to personally analyse data arising from research projects – not only my own but the many projects being generated through the team I work with,” Kathryn said. Kathryn said that expertise in this area would result in significant gains for the young researchers who are currently completing research projects with the BioGrid data repository (an Australian-developed data repository for cancer research databases). Kathryn is currently completing a Doctor of Medical Science through the University of Melbourne, and has a MBBS (with honours) from the University of Melbourne. She has won many awards and prizes including top medical student and Australian Medical Association Prize 1999; top student in medicine, orthopaedics, obstetrics/gynaecology, pathology, pharmacology, anatomy, biochemistry and biology in her undergraduate years. 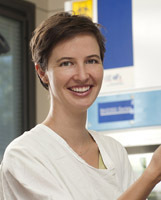 In more recent years she has been awarded three American Society of Clinical Oncology Merit Awards, the Cancer Trials Australia Award in 2010 for being the top student in the University of Melbourne’s Certificate in Clinical Research course, and the Cleveland Young Investigator Award in 2011 for the top abstract presented at Melbourne Health Research Week. In her spare time she is interested in travel, photography, long-distance running (half-marathon), cooking, music and languages. Mr Reuben Finighan, Research and Project Manager with the Climate Group in Melbourne, is the inaugural winner of the Fulbright Climate Change and Clean Energy Scholarship. The scholarship was established by the Australian and U.S. Governments in 2010. Through his Fulbright, Reuben will spend two years at Harvard University carrying out a Masters in Public Policy, specialising in energy and climate policy. “Empowering as fossil fuels have been, we are increasingly aware of their alarming limitations. Our energy system is intimately tied to the great challenges that loom large this century: the environmental (climate change); economic (peaking oil); security (international conflict); and humanitarian (energy poverty). Market failures of such diversity and magnitude demand public policy solutions of matching sophistication and scale,” Reuben said. Reuben said that energy sector innovation is key to addressing the issue. Reuben’s goal is to become a leader in the design and development of effective policies and institutions to help in the achievement of this end. “My core interest is accelerating energy technology innovation, in the context of issues such as climate change. Key issues include the balance between R&D, commercialisation support and large-scale deployments in bringing cost reductions; and fostering international collaboration,” Reuben said. Reuben has a BA and a BSc (both First Class Honours) from the University of Melbourne. He has won awards and prizes including a Melbourne Community Foundation Scholarship; first prize in Australia’s $45,000 National Energy Essay Competition; and he shared in the Banksia Awards: Mercedes Benz Australian Environmental Research Award. In his spare time Reuben enjoys dancing, gardening, cooking, reading, hiking, music, singing, travel and writing. Ms Amanda Franklin, a recent Masters graduate in science from the University of Melbourne, has been awarded one of the coveted International Fulbright Science and Technology Awards. These accolades are the most prestigious and valuable awards offered by the U.S. Government. The IS&T Awards cover full tuition, stipend and living expenses for three years to undertake a PhD in the U.S. They are offered to only about 40 people worldwide. Through her Fulbright Amanda will undertake a PhD in animal behavior, in particular communication and reproductive behaviors in mantis shrimp. “Visual displays during courtship and male-male competition are common and can include elaborate courtship displays by male birds of paradise to aggressive, intimidating displays by frill-necked lizards. The individuals performing these behaviours do so in an attempt to maximise their fecundity and pass on their genes to the next generation,” Amanda said. “My ideal career would be to become a successful animal behaviour researcher. After completing a PhD, I would like to begin a Post Doctorate. I am very interested in the evolution of mating strategies and how this can relate to endangered species survival and also to sustainable fishing practices.”. She said that mantis shrimp are ideal for her study because they have the most complex visual system in the animal kingdom. During courtship and aggressive displays, they appear to flash colored patches on their bodies to one another. However, even though mantis shrimp have such incredible eyesight, there is surprisingly little research into these interactions and the role of visual signals. Amanda has MSc in Animal Behaviour from The University of Melbourne and a BSc in Zoology/Marine Biology from the University of Melbourne. She has won awards and prizes including a National Master of Science Scholarship and student awards from the Victorian Marine Science Consortium and Australasian Society for the Study of Animal Behaviour. She also has a Certificate III in Tourism Guiding from the William Angliss Institute of TAFE. She was a presenter on a community radio station’s (3CR) marine radio program, “Out of the Blue” and has been a volunteer with the Harnas Wildlife Foundation volunteer program in Namibia, Africa. In her spare time she enjoys snorkelling, travelling, photography and learning French. Dr Claire Gordon, an Infectious Diseases Registrar at the Royal Darwin Hospital, is one of two winners of the Fulbright Northern Territory Scholarship, sponsored by the NT Government, Charles Darwin University and Blackboard (Australia). Through her Fulbright Claire will go to the Division of Infectious Diseases at the Columbia University Medical Center, New York for three years to undertake a Master of Arts in Biomedical Informatics. Claire will work on two research projects that encompass the fields of virology and viral immunity. She has a special interest in viral infections in solid organ transplant recipients, a vulnerable group who are given immunosuppressive medications in order to prevent rejection of the donated organ. “The outcome of an infection with a virus in these patients is the result of the interaction between the virus and the immune system. To study only the virus or only the immune response may not provide the complete answer. My two research projects will therefore examine both the virus itself, as well the virus in context of the host immune system response,” Claire said. Claire’s first research project will focus on Cytomegalovirus (CMV), a herpesvirus which infects up to 70% of the population. CMV tends to reactivate in transplant recipients, which can be devastating for the patient. Her first research objective is to examine the immune factors responsible for preventing CMV reactivation in healthy tissues, which will allow her to develop an understanding of the immune response to viruses and the skills needed to conduct scientific research into viral immunity. Her second research objective is to identify novel viruses in transplant recipients with unexplained infections, and then to develop and improve molecular tools to diagnose these novel and other known viral infections in immunocompromised patients. Claire has a MBBS with honours and a BMedSc from the University of Melbourne, and is a fellow of the Royal Australasian College of Physicians. She has won numerous awards and prizes including: 2011 Royal Australasian College of Physicians (RACP) Trainee Research Award; 2010 Victorian RACP Trainee Research Award; 2010 Australasian Society of Infectious Diseases Trainee Research Award; 2010 American Society for Microbiology (ASM) Fellows Travel Grant, 2009 ASM ICAAC Fellows Grant Program Award; 2004 Melbourne University Dean’s Honours List; 2004 Royal Australian College of General Practitioners’ Students’ Prize; 1998 Australian Students’ Prize for Excellence. In 2010, she made a major discovery in relation to the severity and treatment of swine flu, which propelled her into the international medical arena. She has also published widely internationally. In her spare time she enjoys running, multi-day hiking, swimming and yoga. Dr Hamish Graham, a Paediatric Registrar at Alice Springs Hospital, has won a Fulbright Postgraduate Scholarship to spend a year at the Johns Hopkins School of Public Health. He will undertake a Masters of Public Health focussing on health policy measures to reduce childhood malnutrition, a condition that causes one third of the preventable child deaths worldwide. “Malnutrition is the direct cause of the deaths of three million children under the age of five each year, causing more than one third of deaths in this age group. Despite impressive progress in the reduction of child mortality over recent decades, the progress of improving nutrition has been patchy and slow, currently affecting the majority of children in Asia and Africa and is increasing in many places in these regions,” Hamish said. The Masters of Public Health is a one year intensive course, with an emphasis on mentoring and career development. It will give Hamish the opportunity not only to acquire essential skills and knowledge in the area of child health and nutrition, but also collaborate and learn from some of the leading experts in this field. On completion of the Masters in Public Health Hamish intends to pursue further work and research in the area of child health and nutrition, both in Australia and abroad. Hamish has an MBBS (Hons) from Monash University and a M.SSc (International Development) from RMIT. His achievements include being on the Deans Honour Roll; Jane Connor Memorial Prize in Global Health and four scholarships. He has also coordinated the health program at a Medecins sans Frontieres (MSF) refugee hospital in Darfur (Sudan), authored books and journal articles on global health and working abroad, and was founding president of the Global Health Gateway. In his spare time he enjoys music, gardening, writing and sport. Ms Sytske Hillenius, a recent Graduate from the College of Charleston, will spend 18 months in Australia to examine the musical and social history of folk dance and music in Tasmania. Conducted in collaboration with the Folk Dance community in Tasmania and the University of Melbourne, Sytske’s research will focus on Celtic musical traditions and their influence on Tasmanian music as well as the multicultural influences on the traditions from the many immigrants to Tasmania. “The project will examine the musical and social history of a transplanted but now assimilated tradition–Celtic folk dance and music–in Tasmania, the destination of many of the earliest settlers and convicts in Australia,” Sytske said. Sytske will have conversations between musicians and dancers within the community about their own understanding of the traditions and what influences them personally. To share the results of her work, Sytske will develop a website for the community and a printed tune book. Sytske has a BA in Arts Management and in Music from the College of Charleston. She has received several scholarships including a Presidential Scholarship from the university, and a Global Links Scholarship from the Asia Pacific Foundation. She is a skilled violinist and she has volunteered in various capacities with local music groups – including marketing, website design, and volunteer coordination. 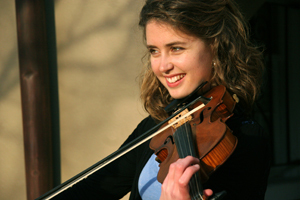 She is a violin teacher as well as an active performer. In her spare time she enjoys hiking, dancing and playing music with friends. Mr Steven Limpert, a recent graduate in electrical engineering from Arizona State University, is the 2012 Fulbright Postgraduate Alumni Scholar, and also is the inaugural winner of the 2012 Fulbright U.S. Climate Change Scholarship. 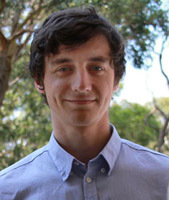 Through his Fulbright, Steven will spend a year at the University of New South Wales (UNSW), undertaking work towards a PhD at the UNSW School of Photovoltaic and Renewable Energy Engineering where he will conduct research in the area of high efficiency, hot carrier, and nanostructured solar cells. “At UNSW, I will work experimentally to verify data I obtained from novel simulations of solar cells at the Arizona State University Solar Power Laboratory,” Steven said. In the simulations he conducted at the ASU Solar Power Laboratory, Steven studied a variety of energy loss mechanisms in solar cells such as surface recombination and carrier thermalisation. Surface recombination occurs in a solar cell when an electron and a hole recombine at the perimeter of the crystal lattice and become no longer capable of providing their energy to a load. Carrier thermalisation is a process in which electrons and holes lose energy to heat, decreasing the energy which they are able to provide to a load. “A large body of work exists describing the effects of recombination at the front, back and in the interior of solar cells, but the literature largely neglects the effect of recombination at the edges of solar cells. Previously, edge recombination may have been considered a negligible loss mechanism, but the results of my simulations showed that high edge recombination rates can have a large detrimental effect on the performance of certain types of solar cells,” Steven said. A conclusion of the study was that if losses due to edge recombination are controlled, higher energy conversion efficiencies can be achieved. In addition to his BS in electrical engineering from Arizona State University, Steven has been the recipient of several scholarships and awards including a Travel Study Grant from the Circumnavigators Club Foundation and a Dean’s Fellowship from Arizona State University. He is also a part-time professional musician, and plays the trumpet. Mr Dominick Ng, a PhD candidate at the University of Sydney, has won a Fulbright Scholarship to spend eight months at UC Berkeley furthering his research in computational natural language processing. “We are drowning in data, and soon it will be practically impossible to manage our information without computational tools that can understand human language,” Dominick said. Dominick said that state-of-the-art parsers are fully correct on less than half of the sentences they process, severely impairing their usefulness. “One problem with parsers is that they consider sentences independently of one another, rather than using the context that a human would. When a new sentence is considered, the information gained from prior ones is discarded – even though this isn’t how humans read text. Through my Fulbright project I will develop a new approach to parsing that retains and uses this lost context,” Dominick said. Dominick has a B.I.T. (Hons I) from the University of Sydney. His awards and prizes include the University Medal (2010); the University of Sydney Academic Merit Prize (2010); the Allan Bromley Prize for Best Honours Thesis (2010); the Google Australia Prize for Excellence in Computer Science (2009), the Capital Markets CRC High Achiever’s Scholarship (2009), and the G.S. Caird Scholarship in Computer Science (2008). In his spare time he enjoys reading, swimming, squash, computer programming and teaching, and amateur photography. Mr. Mark O’Donnell, a recent MBA graduate from the University of Chicago Booth School of Business, is the 2012 winner of the Fulbright ANU College of Business and Economics Scholarship. Through his Fulbright, Mark will spend a year at the college undertaking research into private sector investment in infrastructure in Australia. Mark will study how effective this agency has been in attracting private sector investment in Australian infrastructure, so he can make recommendations for the best practice methods to be applied in the United States. Mark will be supervised by two ANU professors involved in infrastructure economics, and he will enroll in an applied economics graduate program at ANU. As an outcome of his project, he intends to write a paper that documents the most effective aspects of Australian PPP policy regarding private sector investment. His report will be of interest to policy makers in the U.S., as they further study the feasibility of a U.S. National Infrastructure Bank. In addition to his MBA, Mark has a BS in Finance from the University of Illinois and a Master of Urban Planning from McGill University in Montreal, Canada. He has won awards and prizes including the Bronze Tablet from the University of Illinois, the Ron Rice Memorial Scholarship from McGill University, and the Admissions Committee Award from the University of Chicago. He has worked for the last four years in the planning and budget departments of Metra, Chicago’s commuter railroad, and prior to that he worked as an auditor for a commercial bank. He also volunteers as a tutor for and member of the Associates Board of Chicago Lights, a community outreach organization. Further, he is a keen marathon runner and golfer. Ms Cecilia Prator, a recent graduate in biology from Occidental College has won a Fulbright scholarship to spend a year at the University of Queensland. Through her Fulbright, Cecilia will explore the venom of understudied spiders, scorpions and centipedes, for compounds known as peptides, which could possibly be used to make environmentally friendly insecticides. “The development of resistance to chemical insecticides, along with concerns about their safety, has spurred a need for new methods of pest control,” Cecilia said. Cecilia will work with Dr Glenn King and his team for a year to screen and assess possible compounds which could be used in the future for new pesticides. In addition to her BA from Occidental College, Cecilia has won awards such as the Howard Hughes Medical Institute Research Fellowship as well as a prestigious Fletcher Jones Science Scholar Award. She is also a skilled musician – snare drums, has competed in equestrian events and enjoys scuba diving. 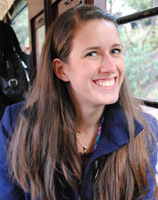 Ms Samantha Shockley, a recent graduate in chemistry and biology from the University of Chicago, has won a Fulbright Scholarship to come to Australia for a year. She will go to the Research School of Chemistry and Leader of the Synthesis and Mechanism Group at ANU to undertake research in synthesising natural marine products. “The rising demand for natural product therapeutics is occurring at the same time that society is becoming increasingly aware of the detrimental effects of declining biodiversity,” Samantha said. Samantha aims to contribute to the development of new, concise and laboratory-based syntheses of Australian marine natural products which could prove useful in the development of new drugs, without the need to disturb the natural environment. In addition to her BA/BS from the University of Chicago, Samantha has been a The Barry M. Goldwater Scholar, a National AP Scholar and has been on the Dean’s list at the University of Chicago. In her free time, she is a member of the university chemistry and women in science clubs and does ballet. 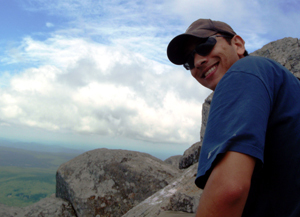 Mr Israel Del Toro, a PhD candidate at the University of Massachusetts Amherst is this year’s winner of the CSIRO sponsored Fulbright Postgraduate Scholarship. Through his Fulbright, Israel will explore the role of ants as environmental indicators with the Climate Adaptation Flagship, in the Northern Territory. “Global climate change threatens ecological communities by shifting species distributions and altering how species assemble into communities,” Israel said. Israel will study how assemblages of ants vary along environmental gradients in the seasonal tropics of Northern Australia, and how dominant and abundant species may respond to climate change. He said that ants are excellent model organisms because their species diversity is high and generally well understood, they are sensitive to environmental stressors, and are widely used as indicators of environmental change. Israel has a BS in biology and environmental science from the University of Texas, El Paso. He has won prizes and awards including a National Science Foundation Graduate Research Fellowship, a NEAGEP Doctoral Student Fellowship, and a National Geographic Society Young Explorer’s Grant. In his spare time he takes part in University Clubs and plays softball for a local team “the Unnatural Selection”. 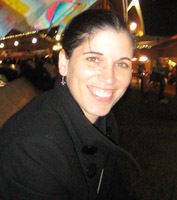 Ms Katherine Truss, the Curriculum Leader for English at Redeemer Lutheran College is the 2012 recipient of the Fulbright Queensland Scholarship, sponsored by the Queensland Government and Universities. Through her Fulbright, Katherine will undertake a one year Master of Education in Human Development and Psychology, focusing on developmental psychology, risk and resilience. She will use this to improve her ability to meet the needs of her students and to allow her to develop programs to enhance skills of Queensland teachers. “Given the time young people spend at school, and the trusting relationships they develop with their teachers, schools are uniquely positioned to support young people as they deal with developmental, psychological and emotional issues,” Katherine said. “I think that it is essential for teachers to receive training in the area of risk and resilience from a developmental psychology perspective. This will allow schools to take a proactive approach to the prevention of negative social and educational outcomes for students, and enable schools to act more effectively in response to tragedy,” Katherine said. In the U.S. Katherine will take courses in adolescent social, emotional and cognitive development; risk and resilience in social contexts; prevention science; intervention strategies; and basic counselling practices. Katherine has a BEd and a BA from the University of Queensland, and spent a year at the University of Virginia on a scholarship exchange. She has won awards and prizes including the Dean’s commendation for high achievement for four years, being a school prefect and a UQ Abroad Scholarship. In her spare time she engages in community service through the Lutheran church, she sings in a choir and plays netball and frisbee. Mr Adam Webster, a PhD candidate in law at the University of Adelaide, is one of two winners of the 2012 Fulbright South Australia Scholarship. Through his Fulbright Adam will extend his PhD research regarding rights to water from rivers that flow through more than one state. He will spend the majority of his time in the United States at the University of Arizona. “In particular, my research examines the dispute between the states of Australia over the allocation of water from the River Murray,” Adam said. 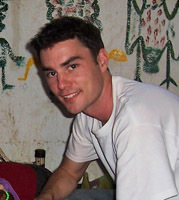 Adam’s research in the United States will examine the history of interstate water disputes in that country with a view to determining how the legal solutions developed in that country may assist in the resolution of similar disputes in Australia. “In the U.S., courts have recognised the existence of an interstate water right. The question of whether there exists an interstate water right in Australia has never been put before a court,” Adam said. As part of his research, Adam will examine whether the resolution of similar issues in the United States of America assists in finding a legal solution to similar problems in Australia. Whilst the dispute over water from the River Murray is a uniquely Australian problem, there are many similarities between Australia and the United States which make for an ideal comparative study: both countries have federal systems of government and in both countries water is at a premium in arid zones. Adam has a B Eng (Civil) (Hons) and a LLB (Hons) in Law from the University of Adelaide and a Grad. Dip. in Legal Practice from the Law Society of South Australia. He has won various awards and prizes including the Zelling-Gray Postgraduate Scholarship in Law. In his spare time Adam enjoys travel, coaching and officiating hockey, painting and cricket. Ms Celia Winnett, a lawyer and former Associate to the Hon Justice Susan Crennan AC, High Court of Australia, has won a Fulbright Postgraduate Scholarship to go to the U.S. for a year to further her legal career. Celia will examine the protection of civil liberties under the American Constitution and the scope that exists for drawing on these protections in the Australian context. Celia says that the approach taken in the U.S. is an essential reference point for Australian lawyers and judges seeking to understand the liberty-protective properties of our own Constitution. “Our federal structure was directly inspired by the U.S. model, and beyond the broad philosophical similarities between the two systems for the separation and division of powers amongst institutions and between governments, many Australian constitutional provisions echo aspects of the American Constitution,” Celia said. Celia believes that greater protection of the legal interests of minorities in Australia can and should be achieved by developing the jurisprudence on the “negative liberties” contained in the Australian Constitution. These include the freedom to practise a chosen religion, hold property and engage in political discussion without undue interference from the federal government, and the safeguards flowing from the role of courts in the federation – liberties that were shaped by the American Constitution. “By studying an LLM in American constitutional law at a leading U.S. university, I hope to gain the knowledge and skills necessary to contribute to Australian public life as a constitutional law barrister, advocating for an interpretation of the Australian Constitution that advances its negative liberties for the benefit of the vulnerable members of our community,” Celia said. Celia has an LLB (Hons 1) and BA from ANU and a Grad Dip Legal Practice from the College of Law. She has won many awards and prizes including the University Medal in Law 2009, ACT Supreme Court Judges’ Prize 2009, India AUS Assoc ACT Prize 2009, ACT Bar Assoc Prize 2008, Thompson Prize 2007, George Knowles Prize 2005, ACT Baha’i Community Prize 2005 and Daphne Olive Prize 2005. She has also published a paper in a leading law journal on constitutional issues affecting Indigenous property, and was an intern at Yamatji Marlpa Aboriginal Corporation, a native title representative body, in Geraldton (W.A.). In her spare time Celia enjoys netball, creative writing (poetry), French films, reading, singing and travelling. 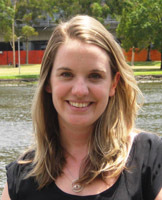 Ms Eleanor Wood, a planning engineer with the Australian Energy Market Operator (AEMO) in Victoria, is the 2012 Australian winner of the Anne Wexler Australian-American Studies Scholarships in Public Policy. Through her Anne Wexler Scholarship, Eleanor will go to the Kennedy School of Government at Harvard University in the United States (TBC) for two years to undertake a Master of Public Policy with a concentration in business and government. By combining her technical knowledge as an engineer with increased leadership and policy skills developed in the U.S., Eleanor aims to play a key role working with industry in the development of a sustainable energy system for Australia’s future after she returns home. “The scale of the technical and policy challenges facing the energy industry is huge. As a planning engineer at AEMO, I have seen organisations and companies across the sector grappling with uncertainty over how best to direct the significant investment needed for the future,” Eleanor said. Eleanor has a Bachelor of Engineering in Renewable Energy and a Bachelor of Arts in Political Economy from the University of NSW. She has won various awards and prizes including University Medal in Renewable Energy Engineering, the Renewable Energy Thesis Prize and a UNSW Exchange Scholarship. She has worked and collaborated with numerous advocacy and research organisations, including GetUp, where she contributed to campaigns for renewable energy and climate change action. Her other interests include foreign languages, especially French and Spanish. In the past she has spent time in Spain, France and Mexico, studying language courses and travelling. In 2009 the Australian Government announced the establishment of a prestigious annual scholarship program to recognise the many contributions by Mrs Anne Wexler for her role in fostering Australian-American relations. She was made an Honorary Officer of the Order of Australia (AO) by the Australian Government for her work on the Australia-United States Free Trade Agreement and the Australian-American Leadership Dialogue. The Anne Wexler Scholarships are part of the Australian Government’s Australia Awards Program and are funded through the Australian Department of Education, Employment and Workplace Relations (DEEWR) and administered by the Australian-American Fulbright Commission. The Scholarships are awarded for up to two years and are valued at up to A$140,000 each. Two Wexler Scholarships are awarded annually, one for an Australian citizen to go to the U.S. and one for an American (US) citizen to come to Australia.